It can feel a little odd to see your coworker show up to work in what was formerly your shirt or to meet your BFF for drinks and see them wearing your ex-heels, but mostly it feels like a big ol’ boost to your karma. Y’all know I’m a big fan of the “picture someone else loving this” method of convincing yourself to part with almost-perfect-for-you…but not….items in your closet. Well, the motivation is even stronger when you actually know the person on the receiving end and might even get to see them exuding the joy of rocking new-to-them duds. The beginning or end of a season is a great time to clean out your clothes—you know what you haven’t worn in last season’s lineup and you have a fresh take on what you’re excited to wear (or not) in the coming season. Peach polka dot blouse: great color and pattern, but cheaply made, sheer, and a crepe texture I dislike. When I found this thrift upgrade I was happy to let the old one go. Gold strappy sandals: these were my Grandma’s and as such are really hard to let go of. But I think I’ve worn them a total of once in the 4.5 years I’ve owned them and I can just imagine them making someone else so happy. Plus I have jewelry of hers I wear regularly and her art and portrait on my walls, all of which recall her memory to me more readily than a pair of sandals I had stuffed out of sight. Strappy white Ann Taylor heels: these are so elegant and simple, but I can’t remember the last time I wore them, because I just. do. not. wear. heels. My gold snakeskin barely-heels from this wedding outfit will add more pizzazz and wear more practically than these high skinny ones; and again, I know they’ll make someone else super happy. Black floral dress: I’ve worn this to weddings, to funerals, and while pregnant. It’s definitely done right by me, but I have dark funeral dresses I love more and wear elsewhere, and the coloring is all wrong for me. I hope someone nabs this who really enjoys the coloring! Khaki shorts: I grabbed these last summer to go with the polka shirt in the bottom right and then wore them ambivalently off and on for the rest of the warm months. I have 3 other pairs of shorts I like better, and no one who can’t wear shorts to work needs that many shorts. Blue star shirt: nabbed for Halloween; too dark for my taste, and the V-neck is weirdly small. White sweater cardigan (aka The Yeti): Pilling, not my favorite length, and worn hard this winter. Getting rid of it now means I have 6+ months to find something warm and cardiganly that I love. Pink/green blouse: A hole-filler from the end of last summer when I needed extra variety. Don’t love the pattern and its cheap construction won’t last. I found tunic blouses I love much better so it’s buh-bye to this number. Fundraiser 5k shirt: Soft but poorly made; starting to twist off-seam. I have enough running shirts with much more sentimental value. Grey ombre sweater: a friend recently passed this on to me but this post made me realize I have more than enough in the way of casual sweaters. Polka dot shirt: See above; this wardrobe extender made me want to buy another pair of shorts and I don’t love it. I may also get rid of same shirt, different pattern, jus to have a looser silhouette this summer. To be able to get rid of this many items at season’s end tells me I still have too many clothes. I love the beautiful simplicity of wardrobes like this one but not sure I could do without the variety. Could you do a truly simple, minimalist wardrobe like the one I linked to? When do you like to clean out your closet? Any tips for letting go of pieces you don’t wear but to which you are still attached? One of the big reasons I do all this thrifting jazz is that I want my money to go to something other than retail clothing giants who source materials in environmentally unfriendly ways and use sweatshop labor to make their products. I’d rather the profit from something I buy go to a cause I believe in, like job training and creation at Goodwill, or—at various other thrift shops I’ve patronized—assistance for folks who are physically and/or intellectually differently abled, addiction treatment programs, kidney disease research, local charities, etc. etc. Another place I’m willing to spend some money? Socially conscious businesses that employ marginalized people who wouldn’t otherwise have a job. Jewelry & accesories companies, I’ve noticed, often take this tack: the people on the ground get together with social entrepreneurs to get their wares into wealthier markets (like middle/upper class America) where people can afford/want to buy their products. If I’m completely honest, it feels a little weird to say, “Let me buy this completely unnecessary bauble in order to fund your family’s grocery budget/school fees/healthcare/other things that are absolutely necessary.” Why should my comparative economic privilege exist in the first place? Why do I have to buy, in effect, luxury goods for someone else to merely eat? But to hear employees tell it, it’s a way to get wealth from one side of the world to another that gives dignity and purpose to the people (most often women) producing the goods because they’re earning a living through a job. So here’s one of those places I’m planning to patronize: Starfish Project enables women in Asia who have been exploited through human trafficking to find stability through employment making jewelry. Give it a gander and see if anything tickles your fancy (or the fancy of someone you love with a birthday coming up….or your Valentine!). Scroll down to share your thoughts and social entrepreneurial enterprises you support! What? You thought I would cease thrift shopping as a spiritual discipline for Lent? Nahhhhh. Oh, sorry, that’s probably a misleading title. But it IS the topic of this post! Other folks pick something up for Lent, spending daily time in meditation, prayer, kind acts, etc. as a sacrifice of time and a way to grow closer to God. Hey Leah, this is a style blog! you say. Why are you nattering on about Lent? Don’t worry, I’m getting there! I have meaning in lots of other areas of my life and have healthy ways to deal with stress that don’t involve unplugging by SHOPPPPPPPING. I have found ways to frequent thrift stores (which is truly relaxing and fun for me) without buying a bunch of stuff (which always gives me a high followed by a pretty empty crash. Wanh wannnnh). 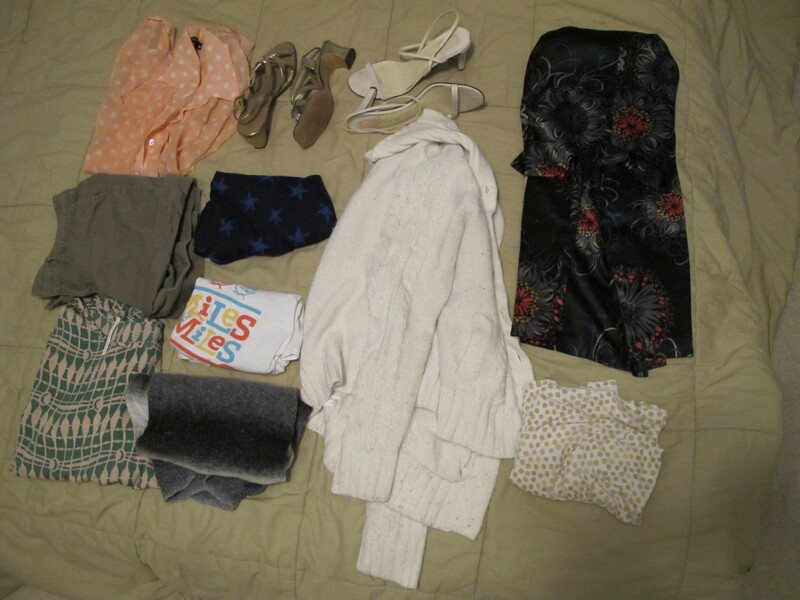 These include thriftstagramming as described here, and capsule wardrobes that help me realize that I already have enough. YOU, however, may find giving up thrift shopping or shopping in general to be the perfect Lenten discipline this year. If so, I say, congrats and good luck! For inspiration, check out the comments on The Vivienne Files’ post re: her decision to cease shopping for a YEAR (although she did allow herself to buy secondhand…so maybe it’s not the perfect inspiration for readers of a thrifting blog). Miss Minimalist’s Real Life Minimalists series also has lots of great profiles where folks gave up shopping-as-hobby for a period of time (or forever) and found ample rewards in spirituality, time, happiness, bank account levels, etc. And to those who observe it: may Lent draw you closer to your Creator and help you grow in all sorts of good ways. Minimalist Mom is one of my go-to blogs for minimalist inspiration and a voice of sanity in our culture of buy-your-kids-everything-to-make-them-happy/healthy/safe/smart. She posted several years back about the essentials she and her first baby needed; it’s a great starting point for any parents-to-be out there. Now with three boys she’s also a great resource for parents trying to keep at bay the avalanche of stuff and activities that seem to come with modern kids. Next week, we return to thrifted style with an update on my winter capsule wardrobe; don’t miss it! 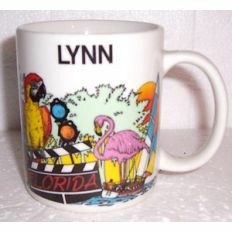 While writing Tuesday’s post about thrifting gifts for a baby shower (tacky or not? Weigh in! ), I got to thinking y’all might be curious about how someone who thrifts a LOT of her life purchases (that’d be me) does a gift registry. If you’re committed to lowering your consumer impact and/or addicted to repurposing another person’s discards into your own amazingness, or if you already have most of what you need, signing up for a whole slew of brand new possessions feels… well… weird. So what if, for any number of reasons, you don’t need ALL THE THINGS for your newly married life or your newly acquired baby or your new digs? Today I’m sharing how we did our two registries (so far) and tips on how to make a gift registry work for YOU. Goodwill has an online auction site! My dear friend Ashley (re)directed my attention to this marvel a few weeks ago; I had encountered it awhile ago but forgotten its existence. For shame! She suggested I share it with you all and she was exactly right! 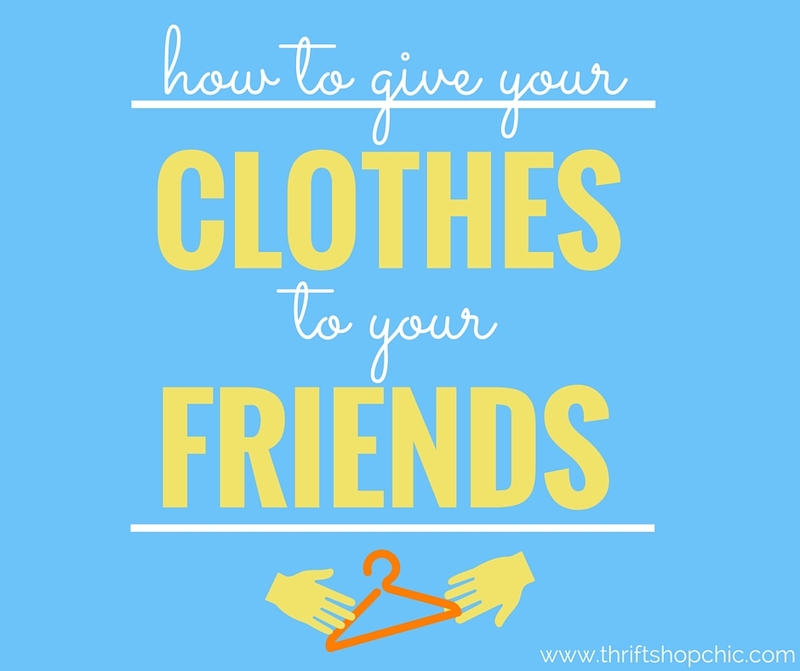 It’s the perfect way to thrift from the comfort of your own home if you do not have the time to spend browsing racks or you live too far from decent thrifting to regularly shop in person. The site hosts thousands of clothing, jewelry, art, antique, and collectible listings from Goodwills across the country. Go have a browse and see if anything sparks your interest! Thanks Smash. And if you, dear readers, have something similar to bring to my attention, shoot me an email at leah at thriftshopchic dot com to share! What do baby onesies, camouflage caps (gag gift), cookbooks, state-themed earrings, men’s button-down shirts, and lacy antique handkerchiefs have in coming? All things I’ve bought from thrift stores to give as gifts. And all things YOU could easily thrift this week if you are in need of last-minute holiday presents. Anyway, my friends and loved ones know I thrift as much as possible, so they don’t really care if they receive something pre-loved from me. Some of them have even joined me and given US thrifted gifts, which we love. Much less financial stress, plus the fun of the hunt, AND you’re guaranteed to be giving unique gifts. And if your family does gag gifts or stocking stuffers, well, there’s no better place to find affordable ridiculousness than the Goodwill. We were gifted a similar one with “Jesus” on it. Perfect for a two-minister household with just a touch of snark (see above description of modern-day Christmas). But what if your loved ones don’t agree with my definition of tacky and they want something unworn by other human beings?? Head to a record store and hand-pick a cool vintage record for your loved one, because somehow records get cooler with age even when clothes do not. You can frame it as wall art if they don’t have a record player. All well and good, but what if your holiday gathering is TOMORROW and it’s 9pm and you have NOTHING?? Good thing the internets never sleep. Even friends who are NOT so excited about my love of giving secondhand gifts are moved to tears by non-commercial gifts from places like Heifer, Habitat, or MercyCorps. Seriously, there is a creative, unique charitable gift for everyone you know and love. Google a non-profit related to something your giftee loves (puppies? nurses? fighting cancer? teaching kids to code?) and I bet they will have a program whereby you can honor loved ones with your donation. If not, just make a card explaining the gift. The best part about these kinds of gifts? They are INSTANTANEOUS. Just click “submit donation” and you’ll get a printable card or a receipt to slip inside your own, hand-made card; or an email sent straight to your honoree on the day you choose. BAM. No wrapping needed, no last-minute trip to the mall. What have you bought secondhand as a gift? What are your favorite non-material gift donations? Scroll down to comment! It’s no secret that I love turtlenecks. I’ve been working my way through my collection lately, updating what I have to colors that better match my other clothes and my skin tone. (The pics might be instructive if you’ve wondered about the difference wearing “your” colors makes.) Thankfully, thrift shopping makes this kind of upgrade totally affordable.